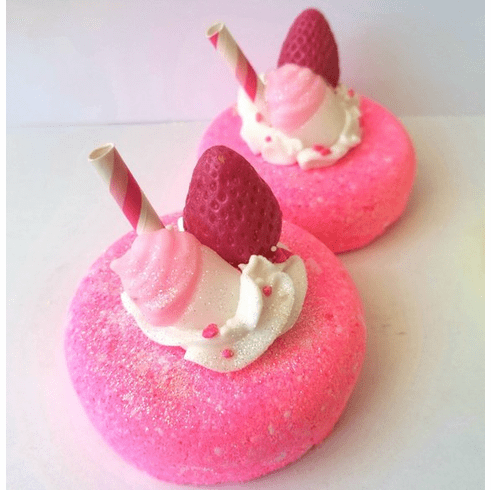 Pamper yourself with this wonderful handmade donut bath bomb. It is decorated with white frosting, sprinkles,a mini soap cupcake, a soap strawberry, a paper straw, and glitter. Bath bomb weighs approximately 5.5 oz and measures about 3 inches across is about 3 inches tall.